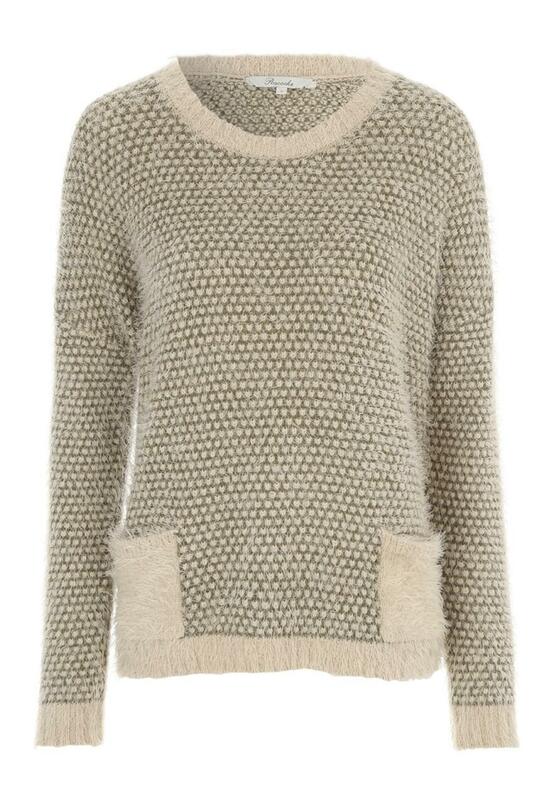 This feather textured jumper is soft to touch and easy to wear. Featuring two large front pockets, a crew neckline a nd long sleeves. 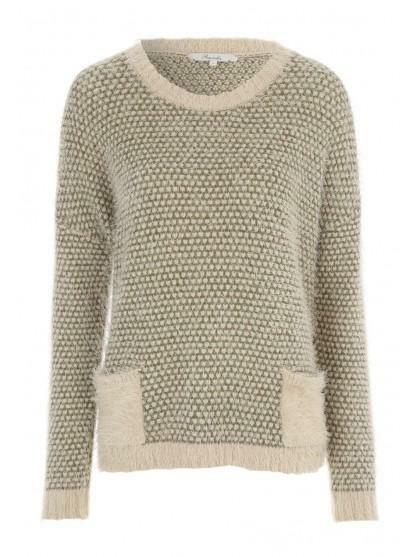 Wear with black jeans and other tan accessories for a cool autumn winter vibe.